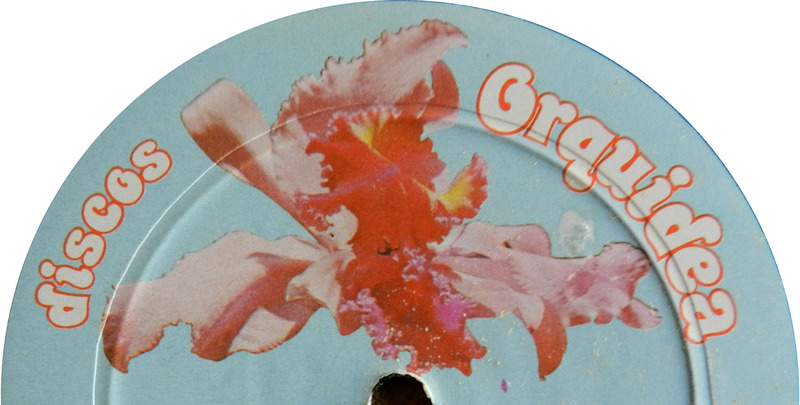 When I was a little boy in the 1970s, album covers decorated with scantily clad women irritated me. 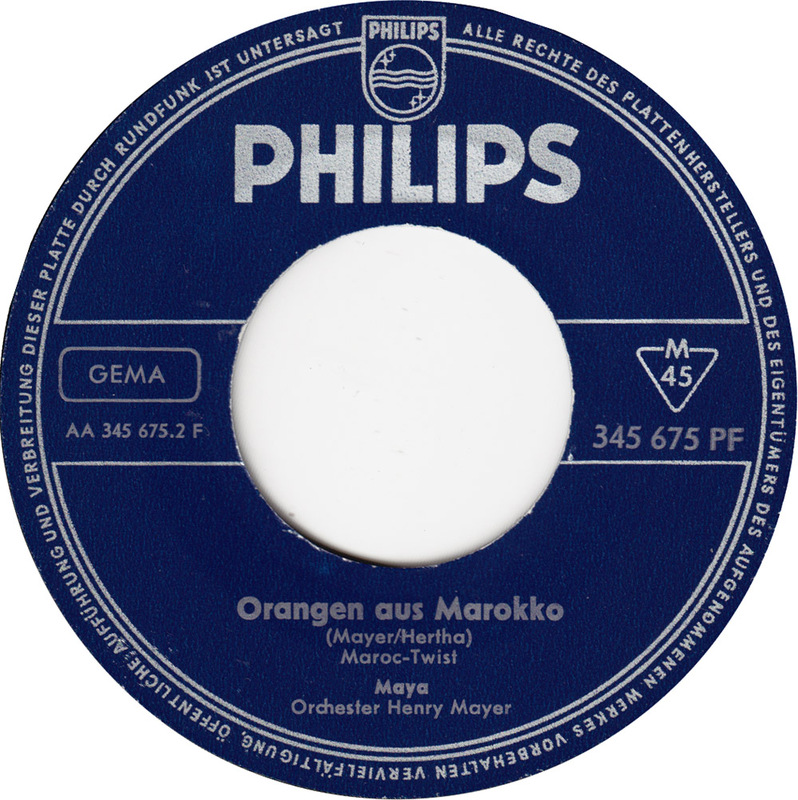 We had a few of these in the house, issued by Europa, at the time Germany´s biggest budget label. I guess my mother must have bought them in a supermarket, because my father, a seaman, was away most of the time. 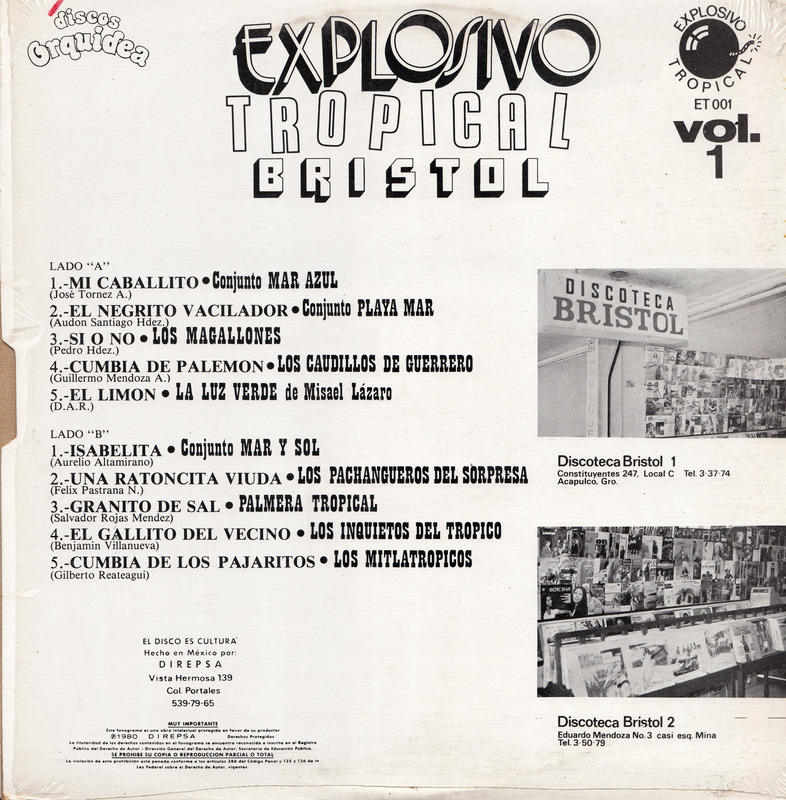 It wasn´t adult material that was featured on these Europa LPs, just the typical hits of the day, albeit played by unknown artists. 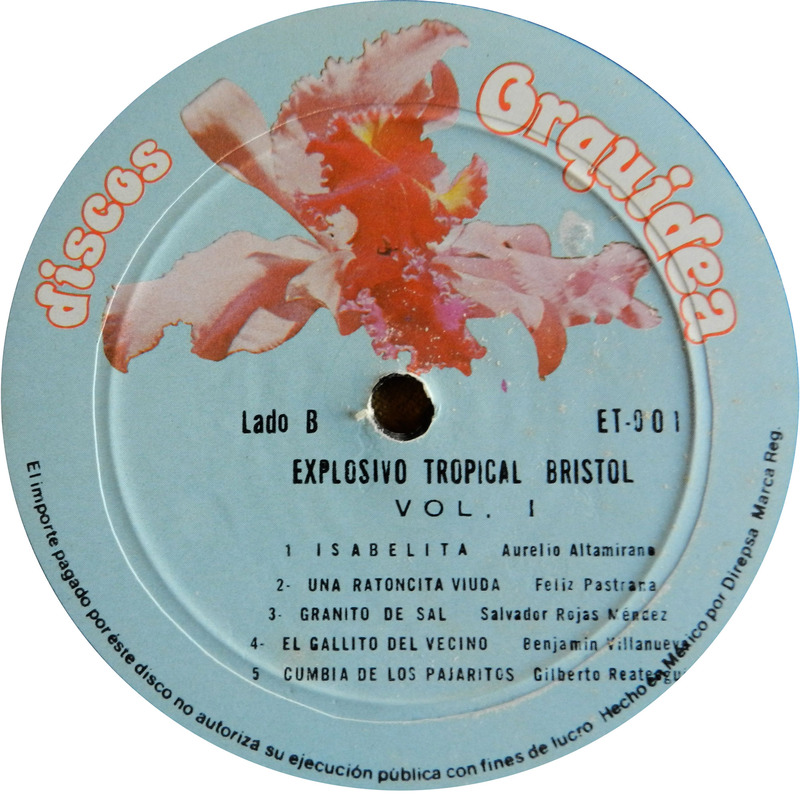 Incidentally the label also issued most of my children´s records. The budget experience must have rubbed off on me, because I´m still occupied with the cheapos today. 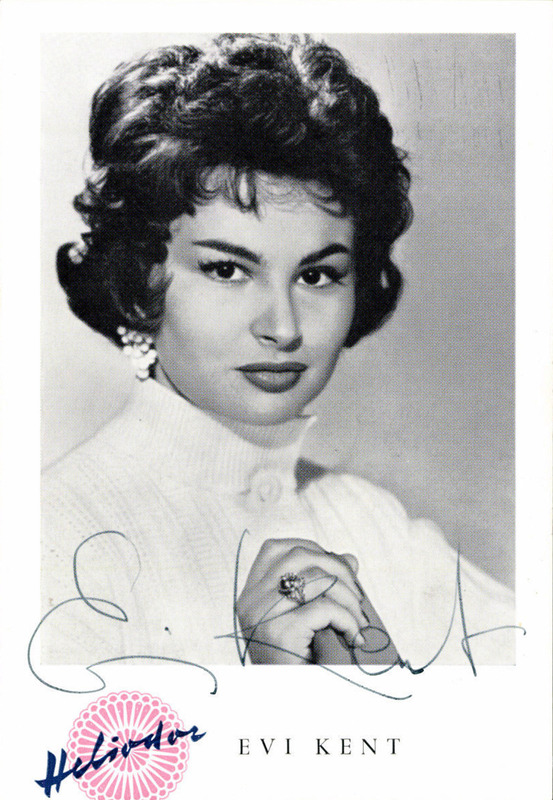 I can´t remember where I bought this Mexican album, but it was many years ago, and not in Mexico. 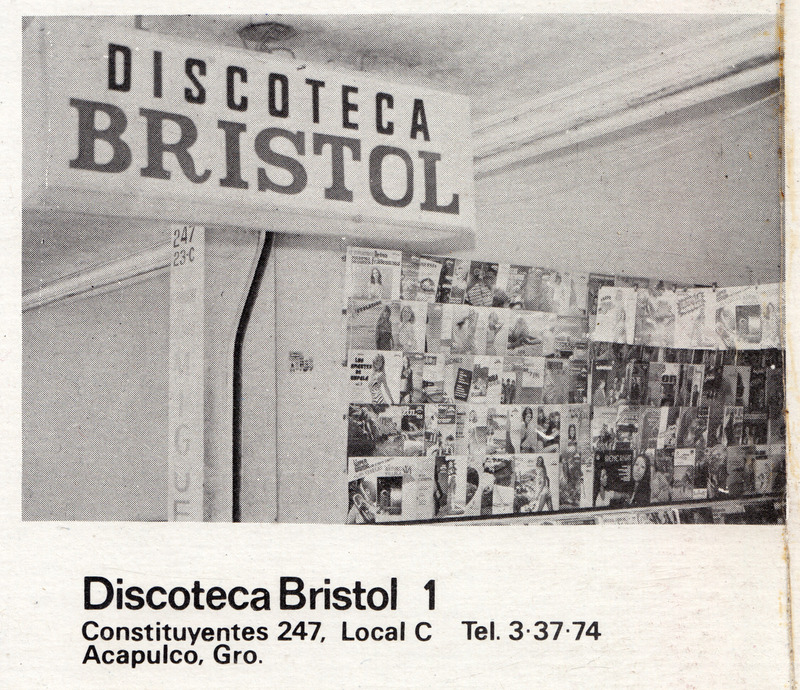 It seems to showcase the Discos Orquidea label and two Discoteca Bristol record stores in Acapulco. 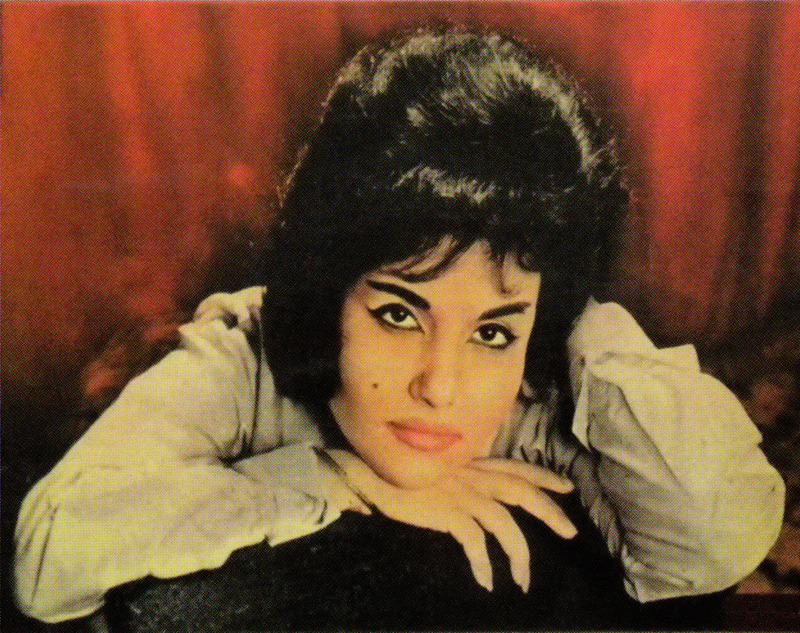 All of the songs are Mexican Cumbias, and most of them hits, that are still readily available on Itunes or Amazon. In fact, most of the groups are still active today. Merry Christmas! Feliz Navidad! Frohe Weihnachten! 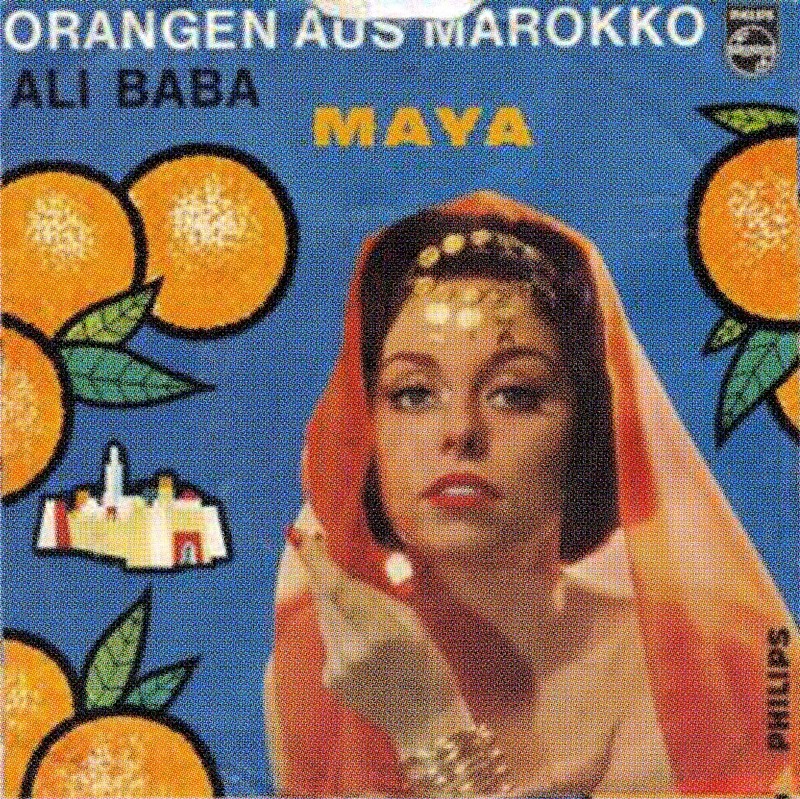 Aamok was basically producer Conny Plank´s own Novelty/Krautrock-project. Plank himself even did the drawing of an evil Santa, complete with bloody knife, gun and what looks like a corpse hanging from his bag. 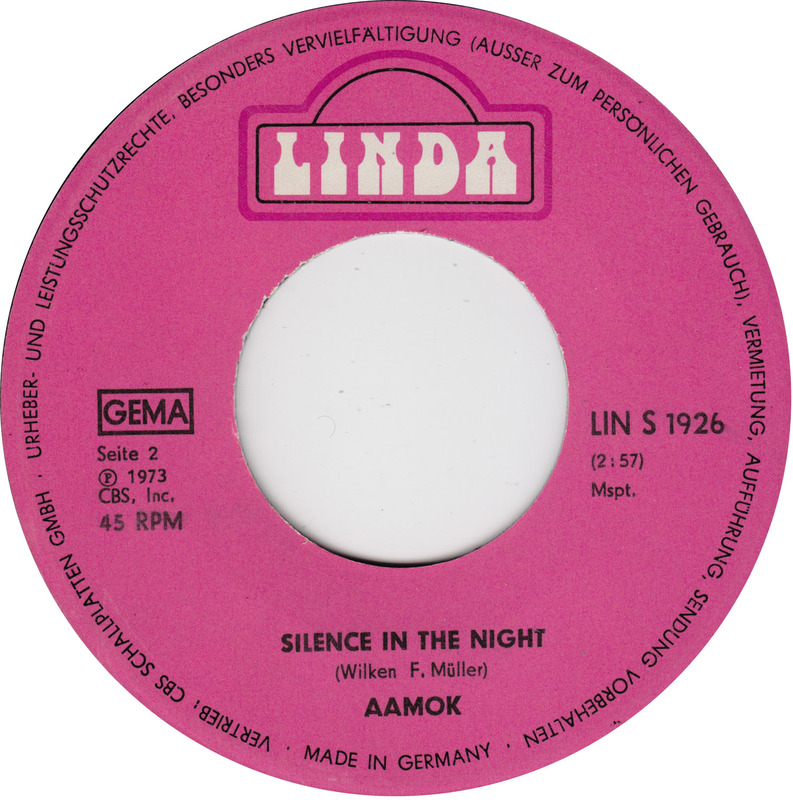 But Aaamok was also a short-lived Krautrock label, operated by Conny Plank and Wilken F. Müller, that never really took off. 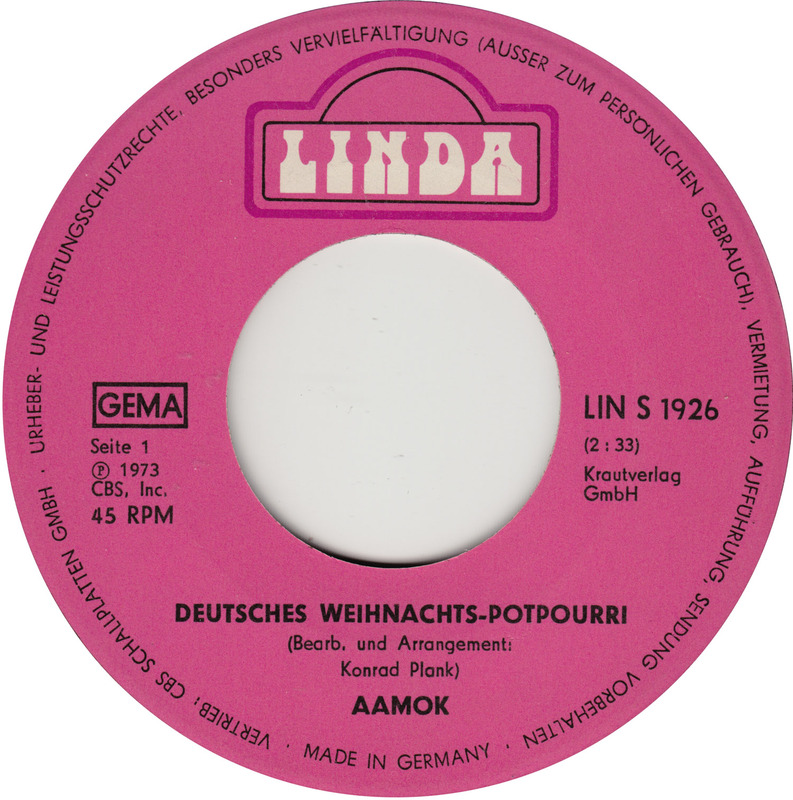 This promotional Holiday record was one of the few items that were published, that actually carried the name Aamok. 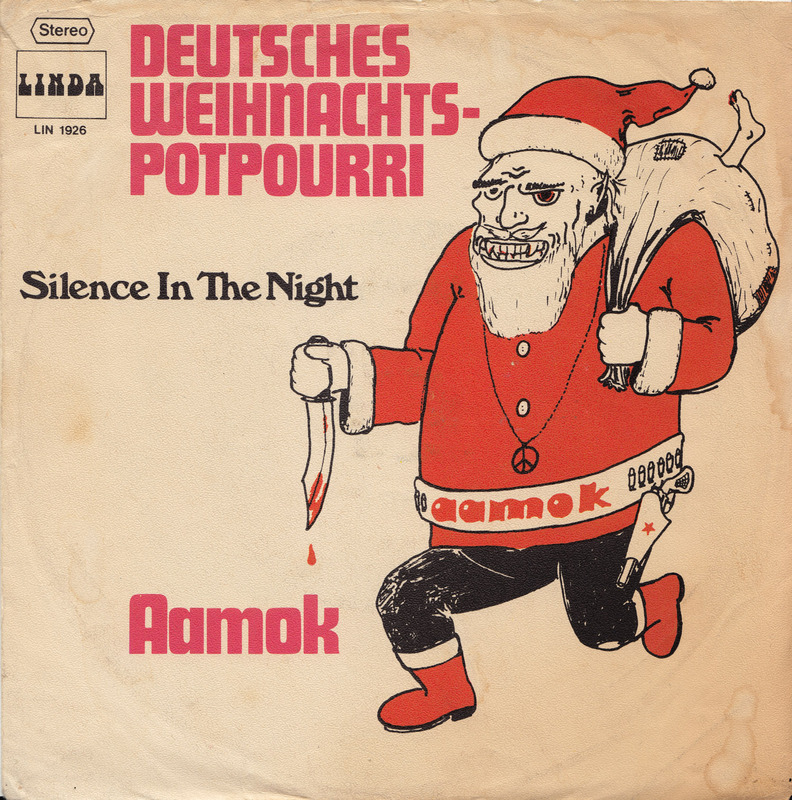 The proto-punk Christmas song Deutsches Weihnachts-Potpourri (German Christmas medley) sounds like it could have been released by Mad magazine…. 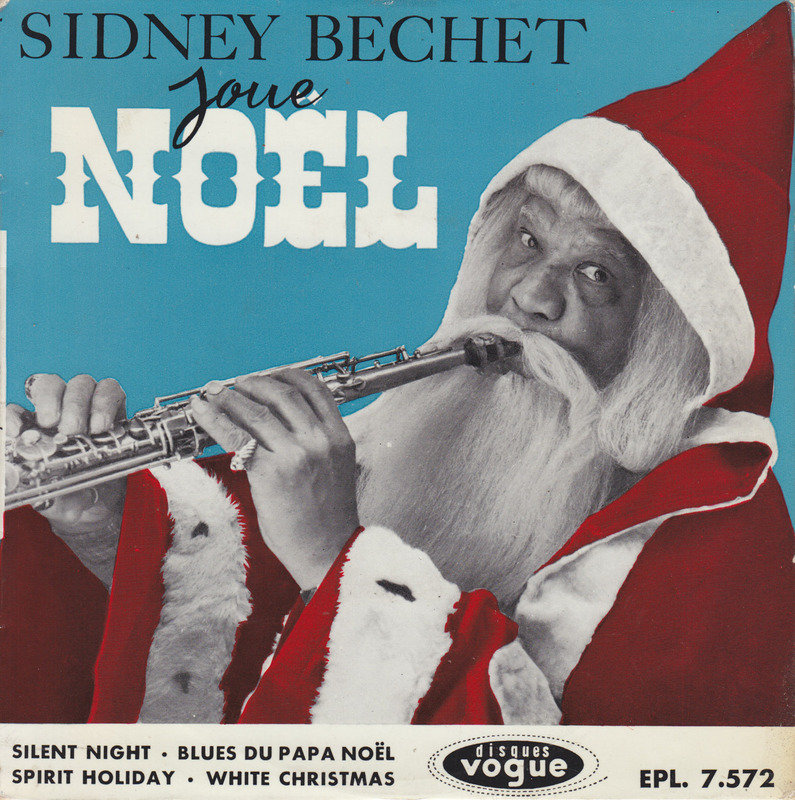 Sidney Bechet recorded these four Christmas songs on December 10 and 12, 1958, accompanied by Jean-Claude Pelletier, organ, Claude Gousset, trombone, Alix Bret, bass and Kansas Fields on drums. 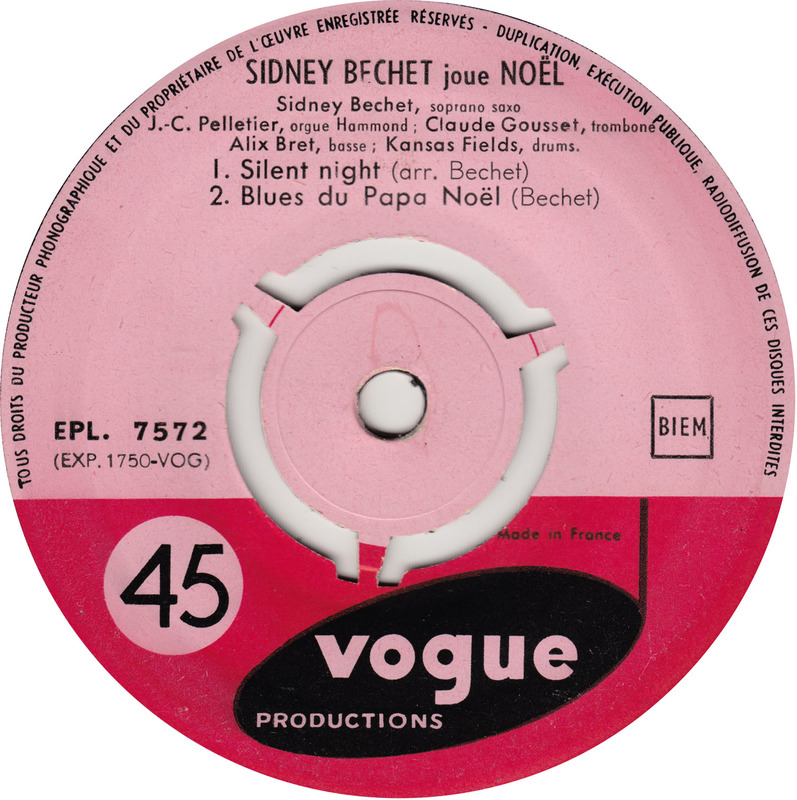 Less than six month later, Sidney Bechet died in Paris from lung cancer on May 14, 1959, on his 62nd birthday. 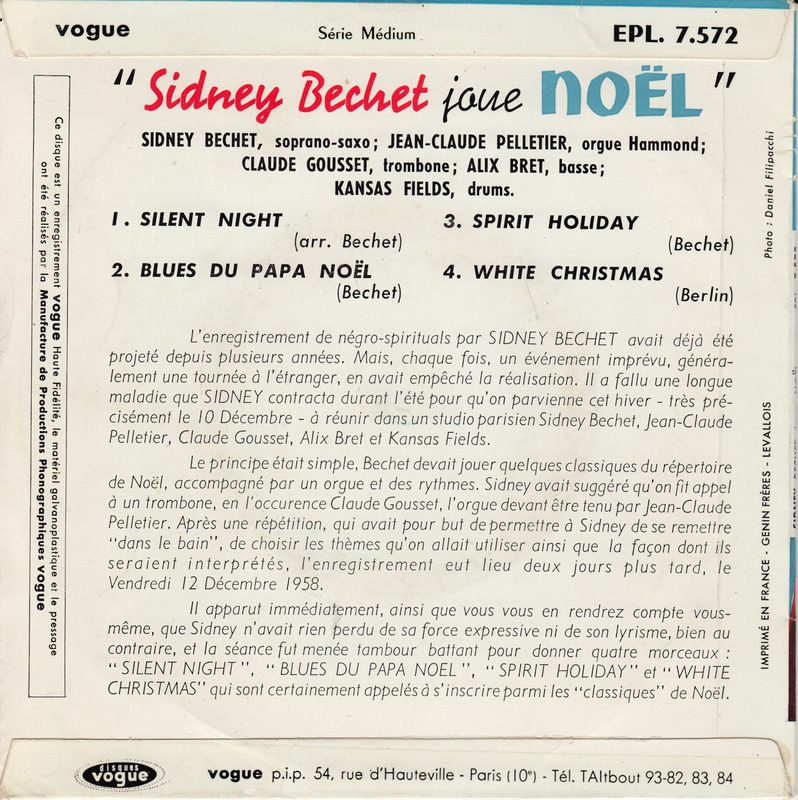 While these Holiday tunes might not be considered cream of the crop by some jazz fans, Sidney Bechet did not record a bad song in his lifetime. 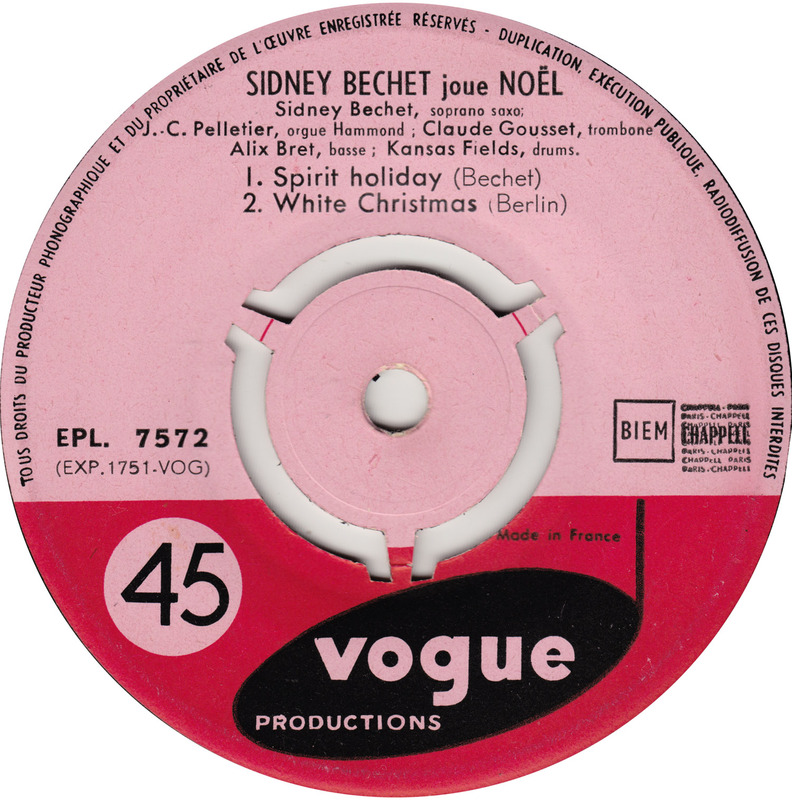 He even pulled off a spirited version of White Christmas…. 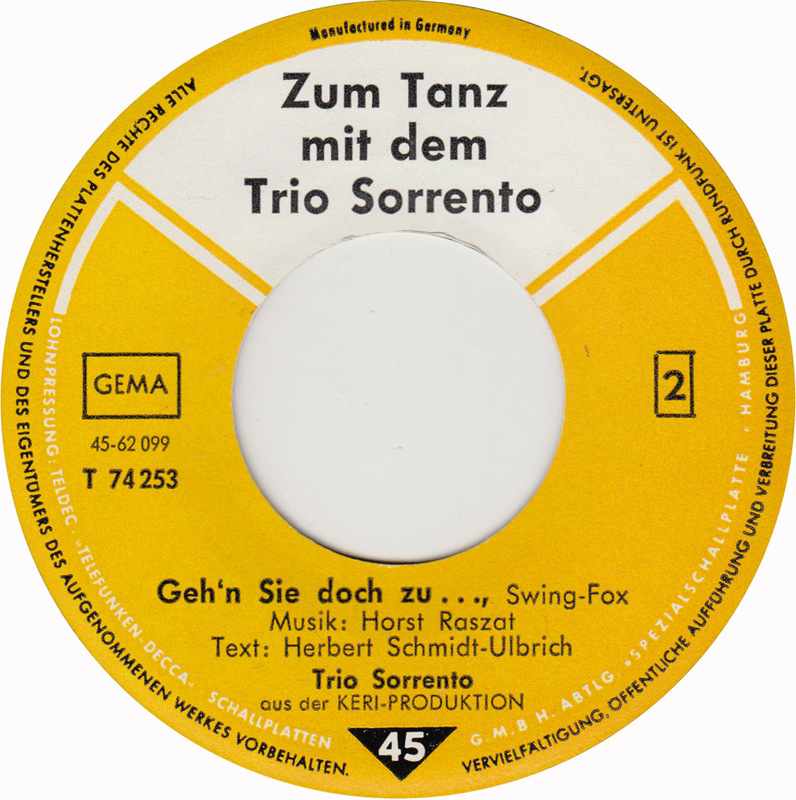 Trio Sorrento was a fixture in the Berlin music scene from the 50s to the 70s. 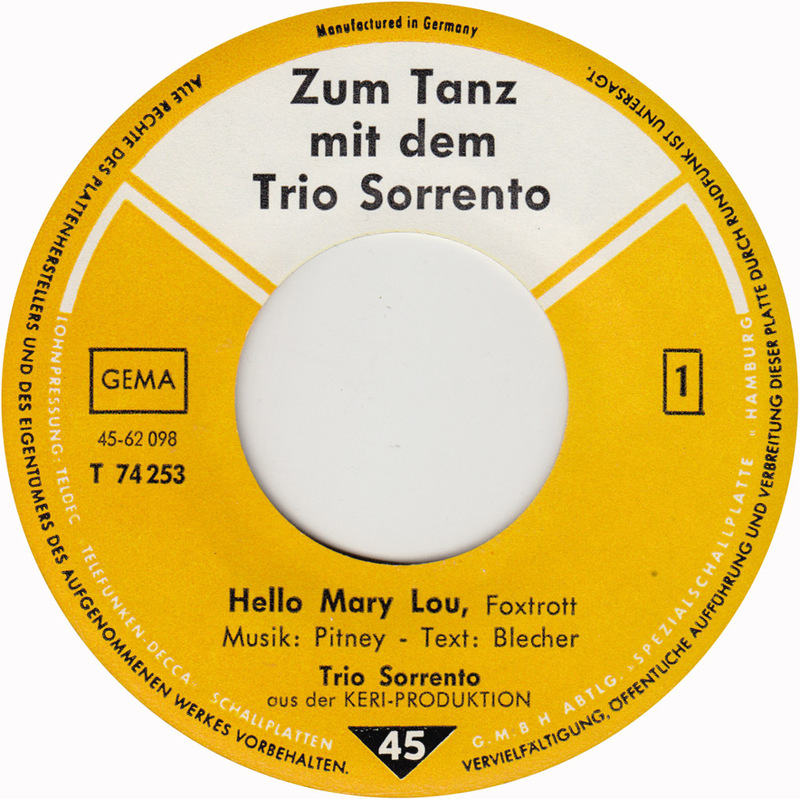 While less prolific than fellow Berlin trio 3 Travellers, they still managed to record a bunch of records for Ariola, CBS, Fontana, Elite Special and budgets like Baccarola and Opera. 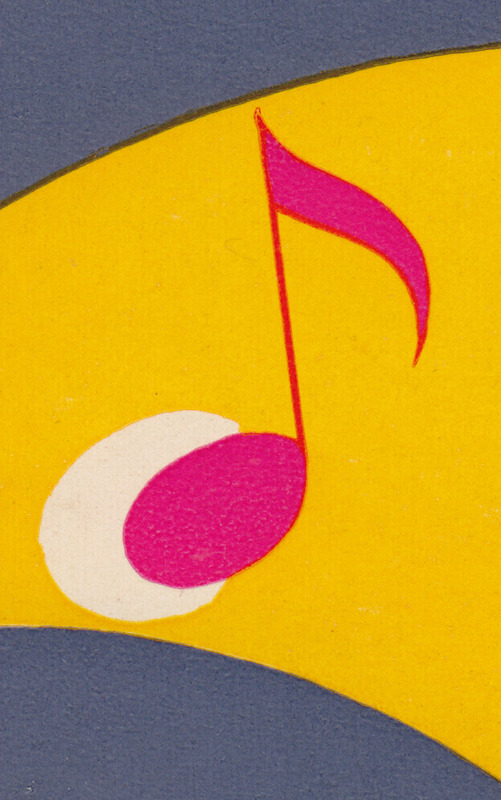 Among them, this promotional record for local supermarket chain Butter Beck, issued to celebrate the company´s 75th anniversary. 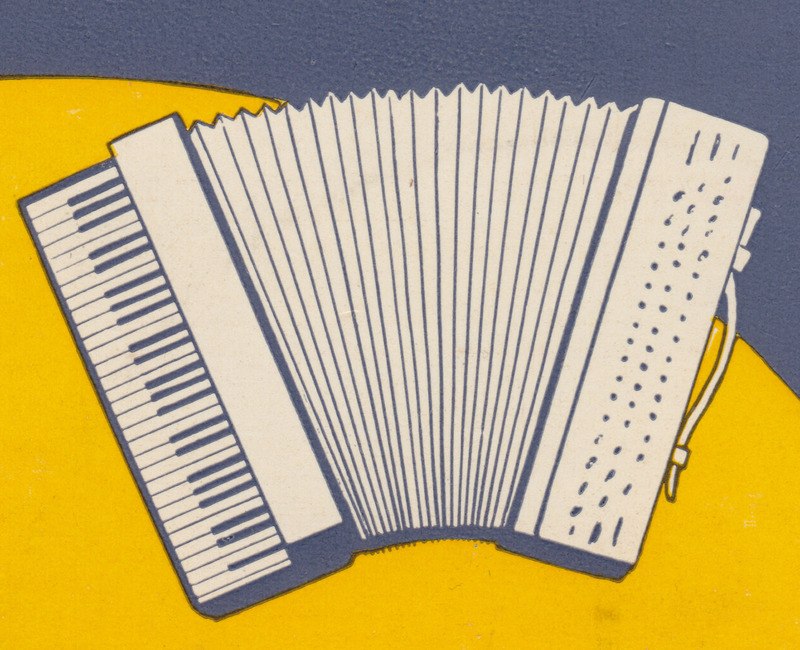 Initially established in 1888 as a butter-shop by Oskar Beck, the company went out of business in 2004, and was sold to local rival Kaiser´s. 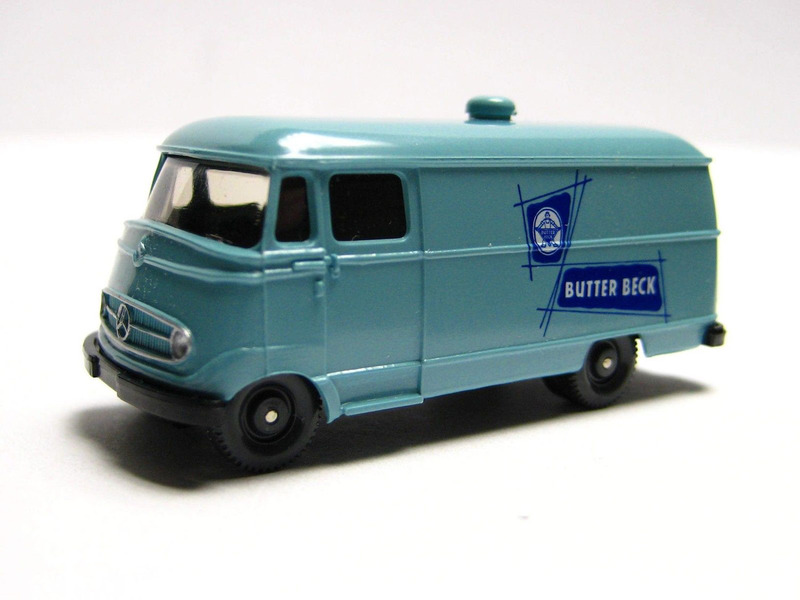 In 2006, a retro-Butter Beck toy truck was issued by the German toy manufacturer Wiking. 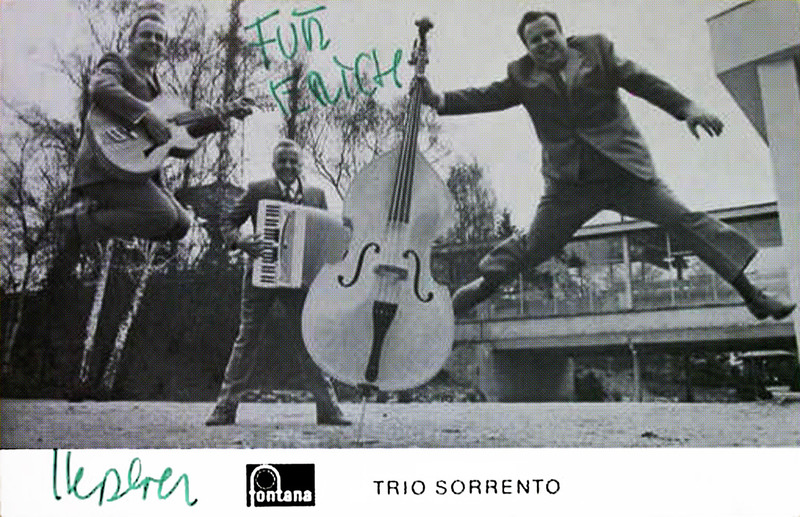 A toy and this happy, swingin´ little tune seem to be the only things that commemorate the company today. An Internet search will probably turn out this post, just because I mentioned Butter Beck a bunch of times. Butter Beck, Butter Beck, Butter Beck…. 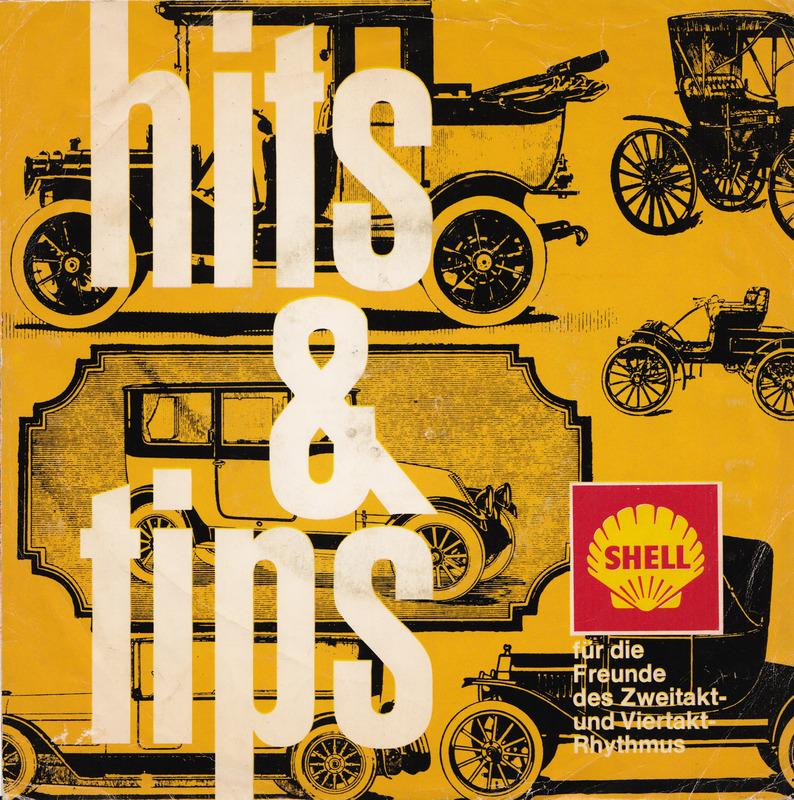 Shell, the world´s second largest company, employing 92.000 people, came up with the marketing slogan “You Can Be Sure Of Shell” in the 1930s. Twenty years later Bing Crosby and British singer Michael Holliday sang the tune. 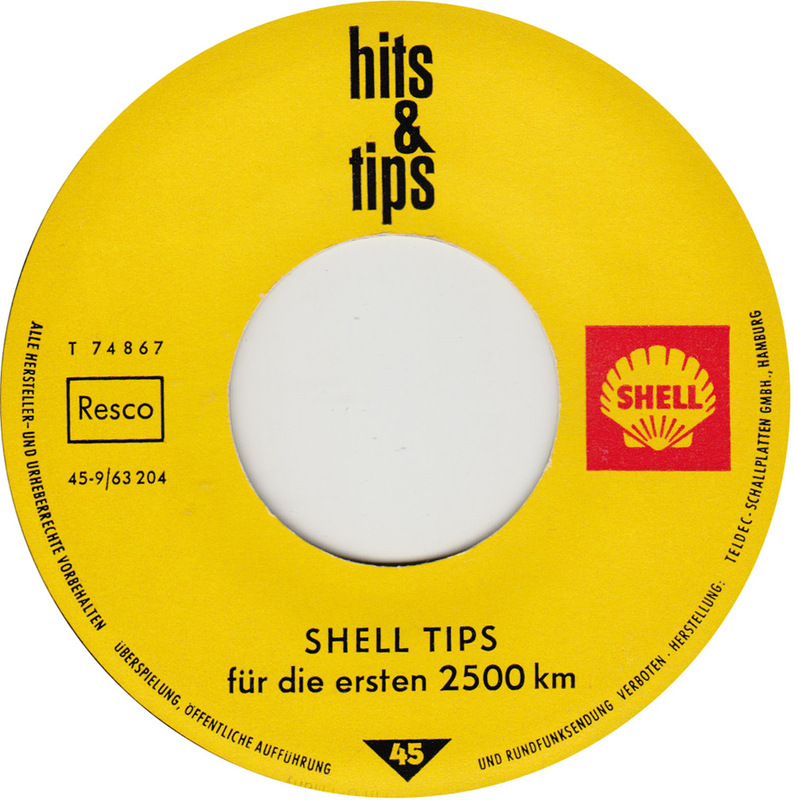 By the mid- to late sixties, German Shell issued this promotional record, featuring four up-dated versions of the song. 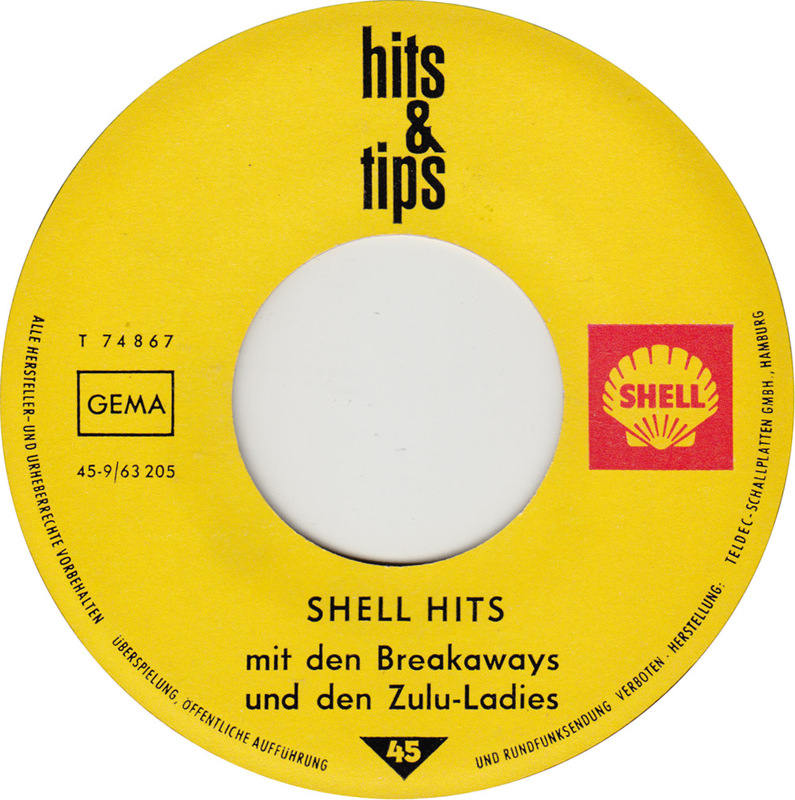 Hey, Shell Marketing Crew! 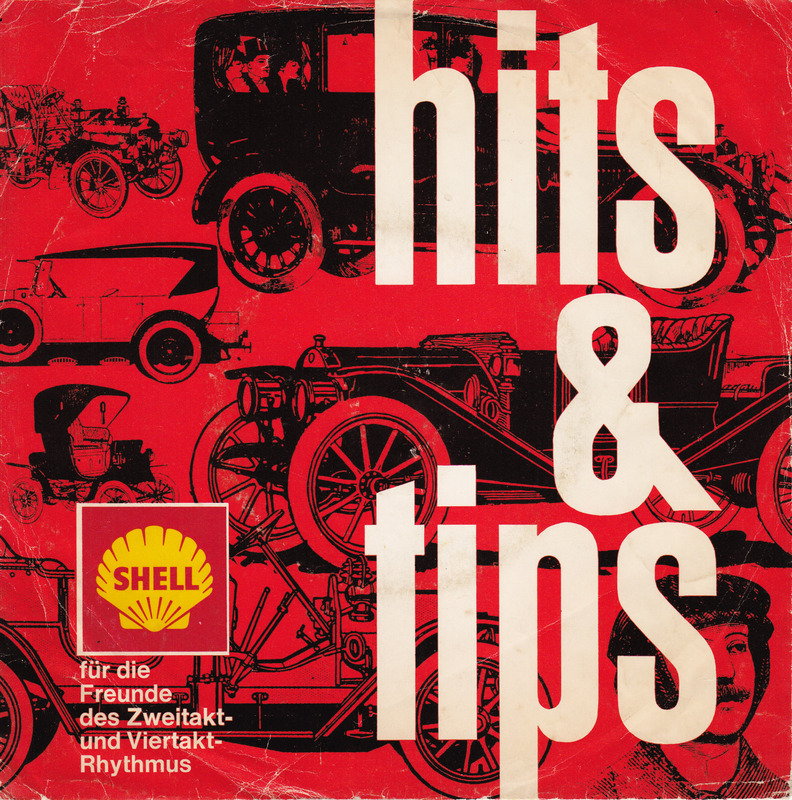 If you discover these songs while browsing the Internet in search of inspiration for your next brainstorming session – no need to look any further: Here´s your new Shell advertizing tune! Custom made for Shell fifty years ago. 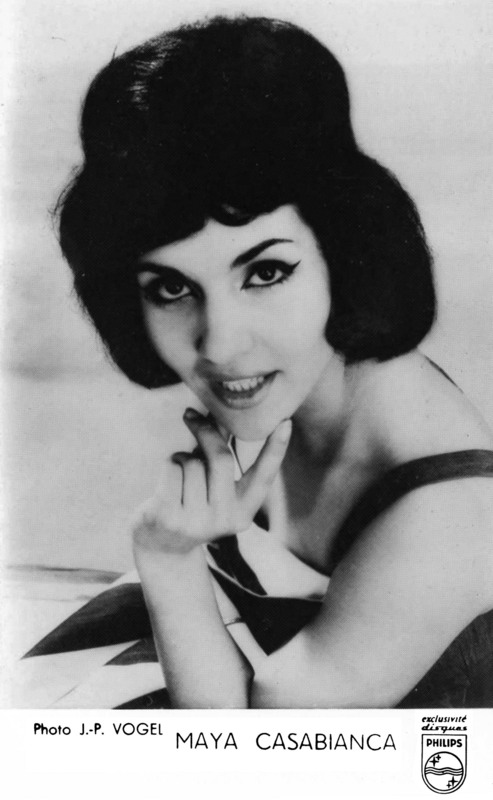 I know, that you don´t know the history of the advertising campaigns of the company you work for. Very few people in advertizing do. That´s okay. 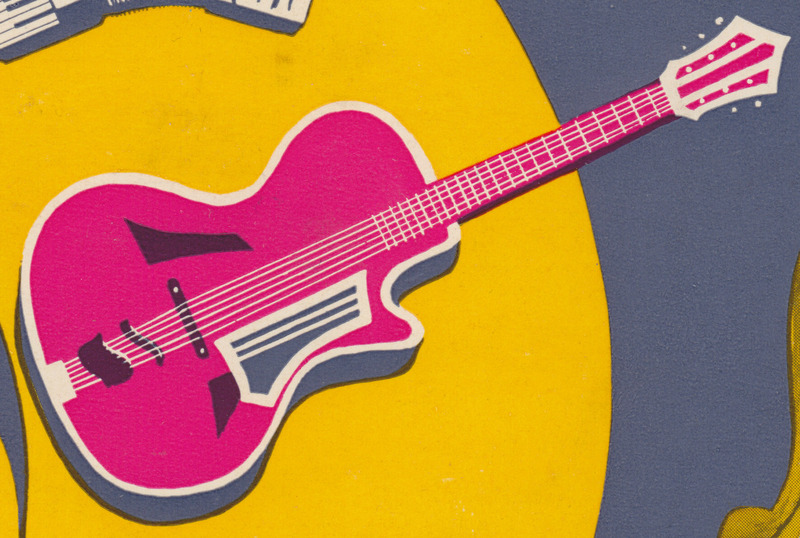 It´s up to collectors like us, to save stuff like this and keep it from being forgotten. 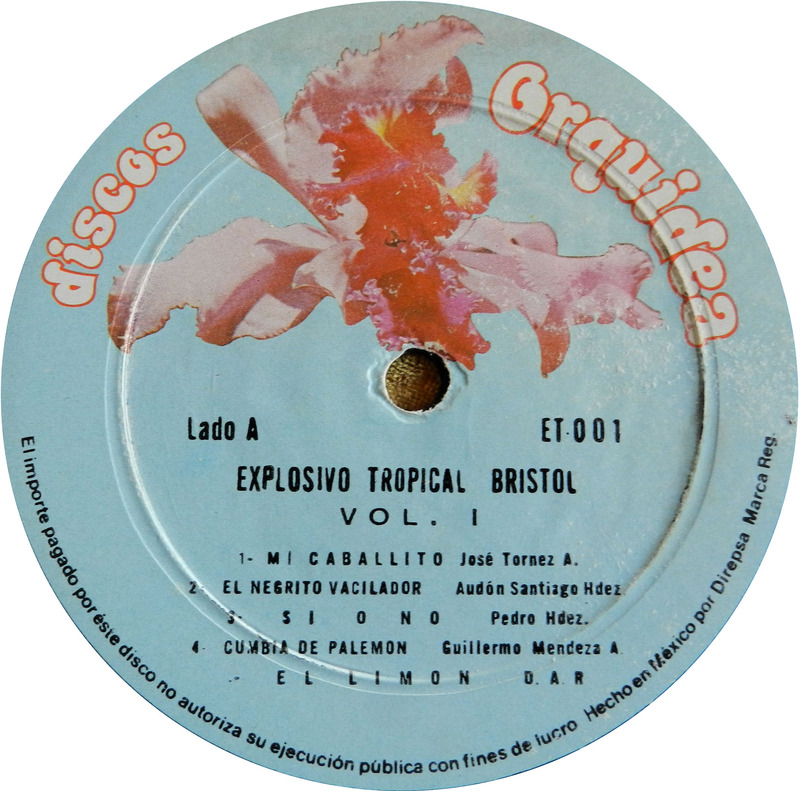 But, just in case you use this… don´t forget to pay me for digitizing the single songs that you never heard before, and no longer have in your archives. 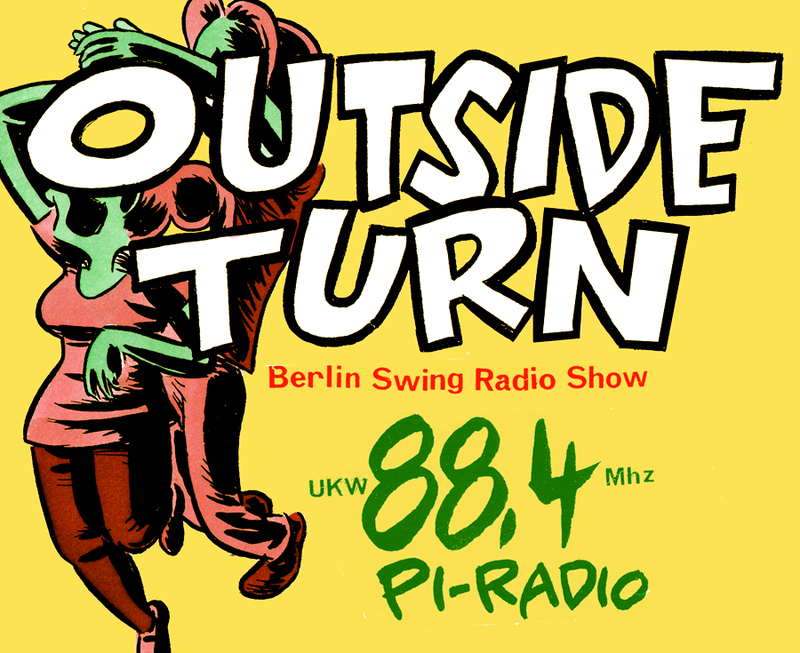 On Wednesday, our monthly radio show, OUTSIDE TURN, aired on local Pi-Radio. 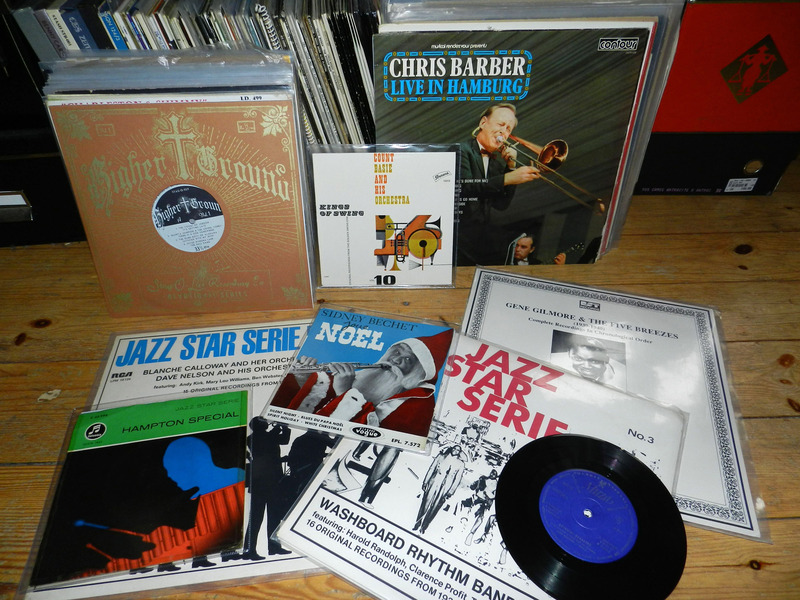 As usual, Jörg and I played a bunch of swingin´ jazz tunes, both old and brand new. 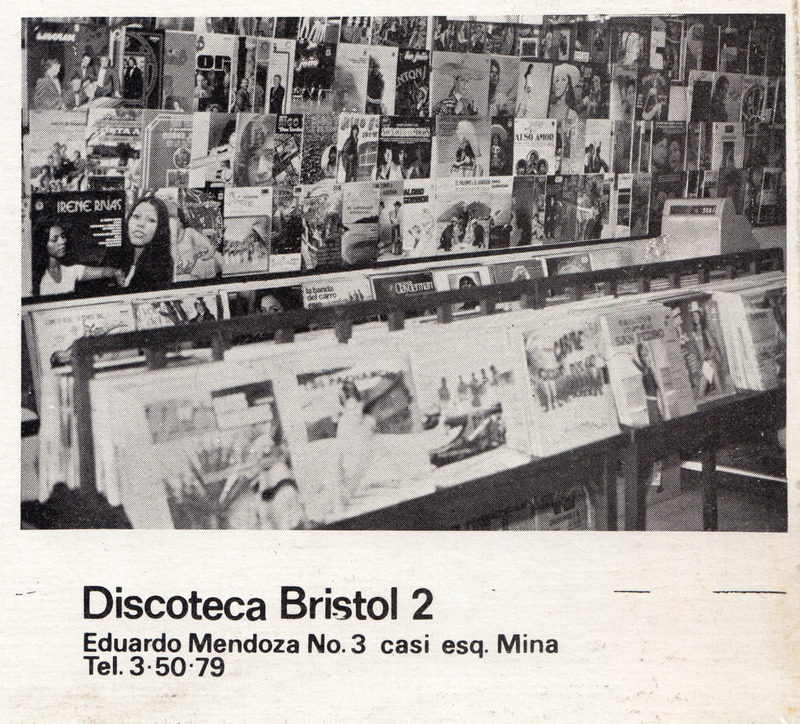 We´ve been doing the show for the past two years, only this time, I created a Mixcloud thing for the first time. 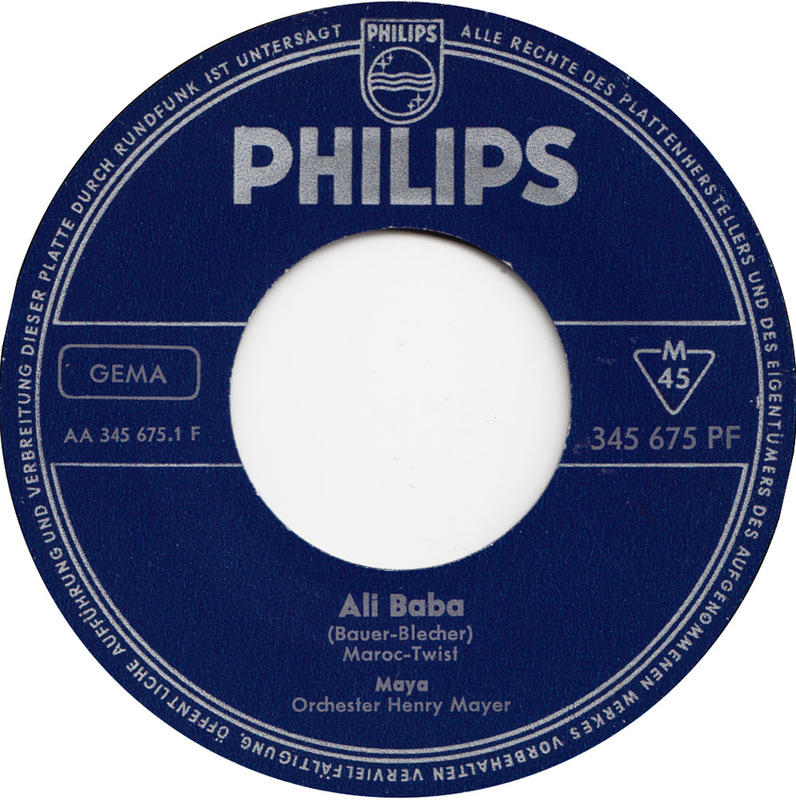 Ella Fitzgerald , Etta James and LaVern Baker together on one side of this 45! In the mid-50s, Austrian actress Evi Kent recorded a medley of German versions of Lullaye Of Birdland, Dance With Me Henry and Tweedle Dee for the Viennaphon label. 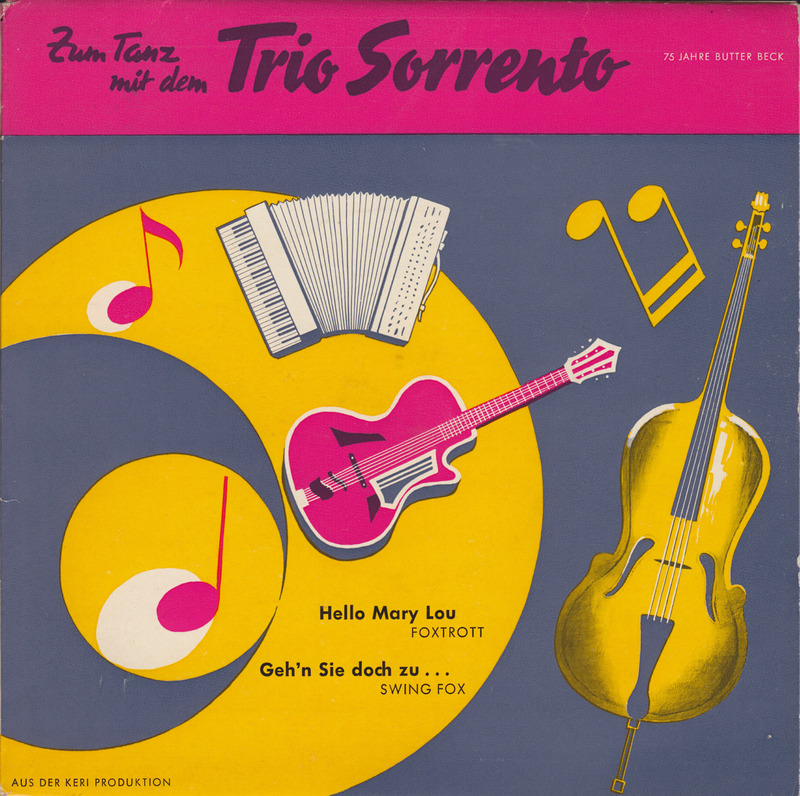 Also included in the mix is Wenn der Johnny spielt, a German version of Rock Around The Clock, first recorded by Svend Asmussen, and Dein Herz aus Stein, a German version of Hearts Made Of Stone, originally recorded by Otis Williams & His Charms in 1954, but more likely based on the white covers by Georgia Gibbs and the Fontane Sisters. 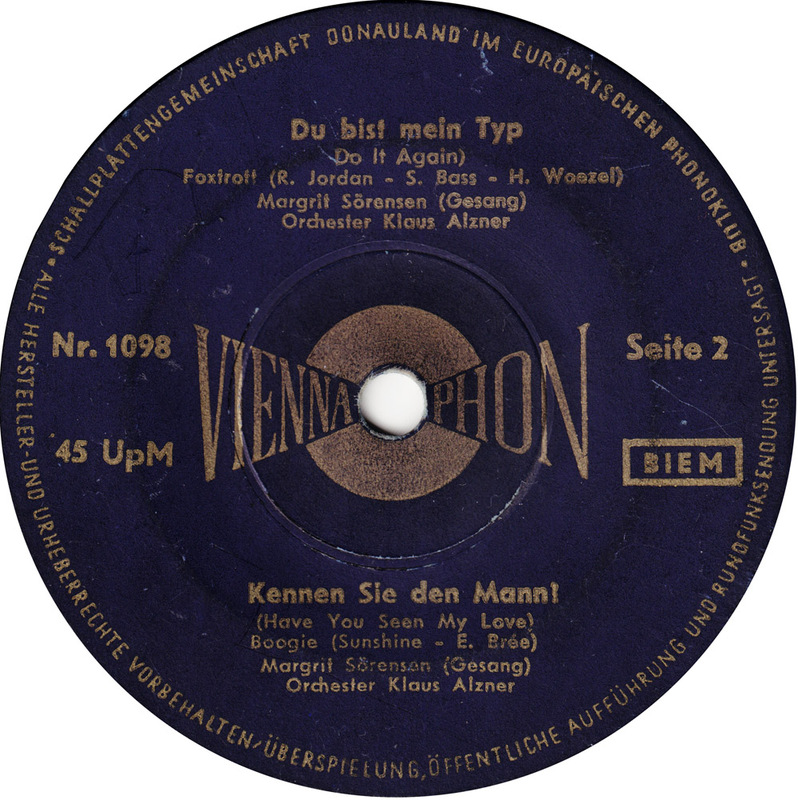 The love metaphors of “Lullaby of Birdland, that’s what I/ always hear/ when you sigh” were further modified to fit a more realistic Austrian setting. “Seit ich dir begegnet/ geh ich froh/ jeden Tag/ ins Büro”: Since I met you, I´m happy to go to work every day.